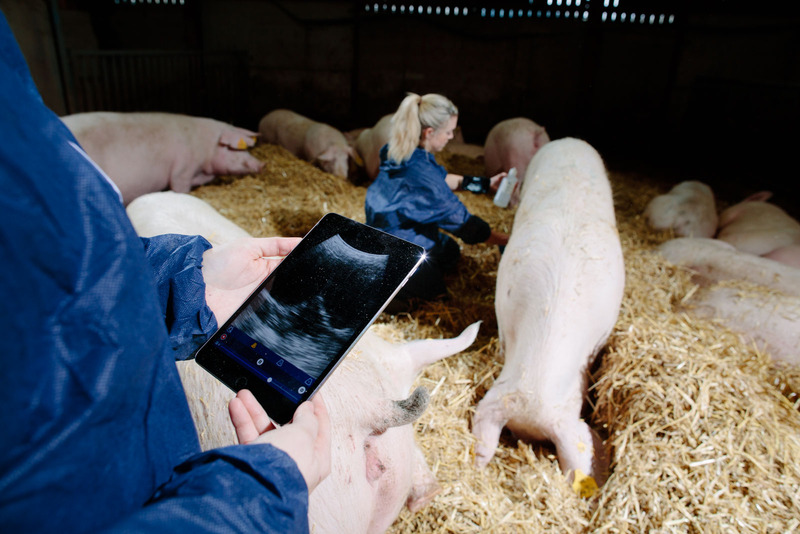 The Duo-Scan:Go is the world’s first wireless ultrasound scanner designed for pigs, sheep or goats. 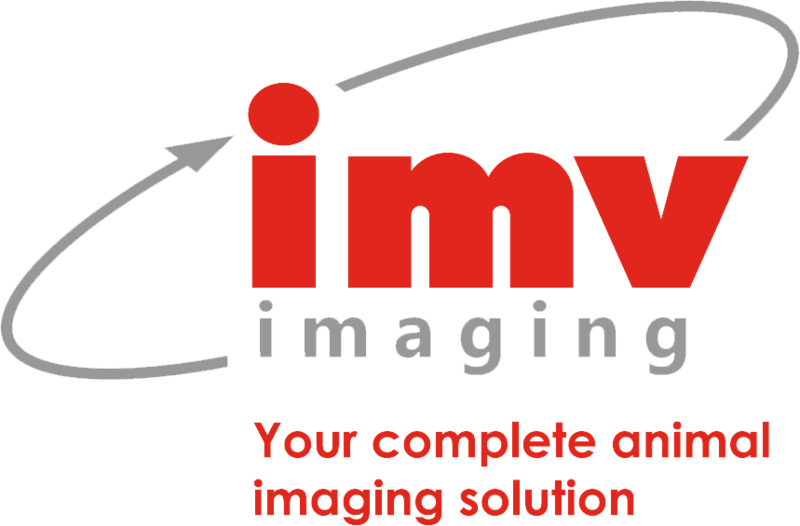 The latest addition to IMV Imaging’s industry-leading :Go family of wireless ultrasound products, the Duo-Scan:Go has been designed from the ground up to meet livestock scanning requirements, creating fast, accurate, easy-to-share images and data. 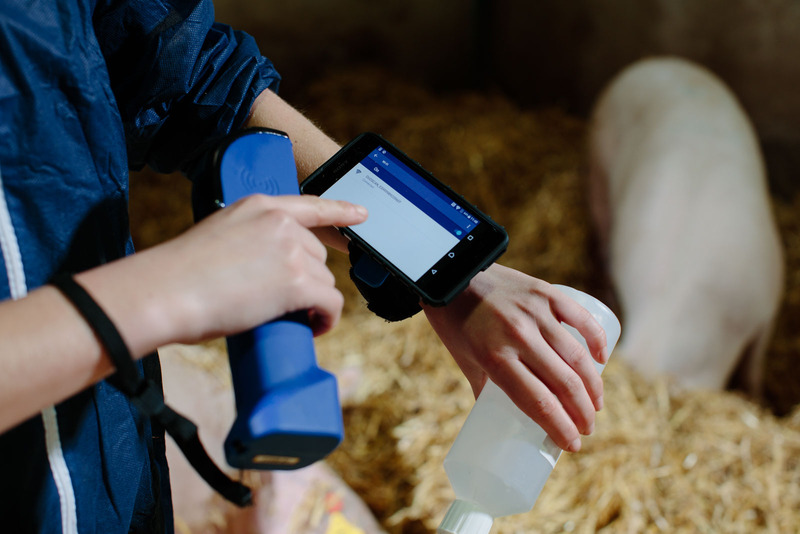 As an ergonomic, all-in-one wireless probe, the Duo-Scan:Go sets a new standard in livestock scanning. The Duo-Scan:Go is available in two versions – the Duo Scan:Go (32 elements) and the Duo Scan:Go Plus (64 elements). The Duo Scan:Go Plus has double the number of elements which provides a greater line density resulting in a better image quality. What is the difference between the Duo Scan:Go and the Duo Scan:Go + ? The Duo Scan:Go has 32 elements and the Duo Scan:Go + has 64 elements. More elements mean a greater line density resulting in a better horizontal resolution. 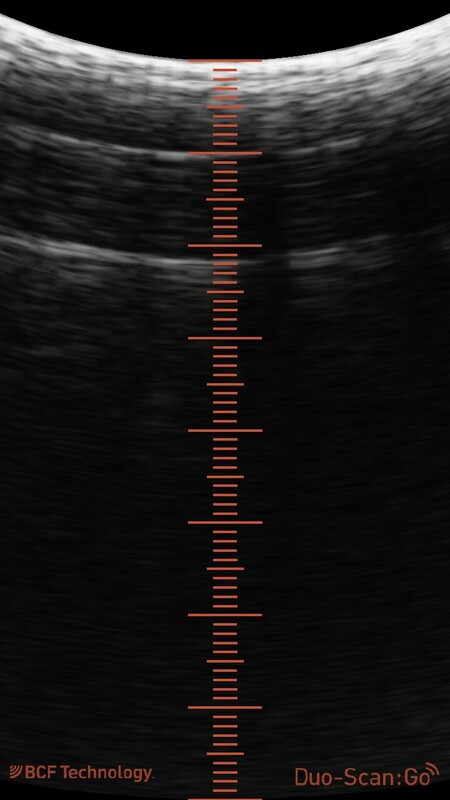 Simply put – the Duo Scan:Go provides an great image, the Duo Scan:Go Plus provides an even greater image. How does the scanner charge? Inside the scanner is a rechargeable battery which allows contactless charging. You can purchase a contactless charger at the checkout stage when purchasing your Duo-Scan or by navigating to shop on the top menu. You can also buy a contactless charger from your local electrical store. As long as it is QI compliant then it’ll work fine. What smart devices are compatible with the Duo-Scan:Go? The Duo-Scan:Go app can be used on most Android smart devices. However, there are some criteria that we would recommend to get the best performance out of the product. 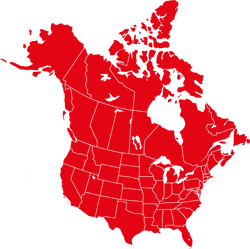 Here is our list of recommended device specifications and a selection of suitable devices. 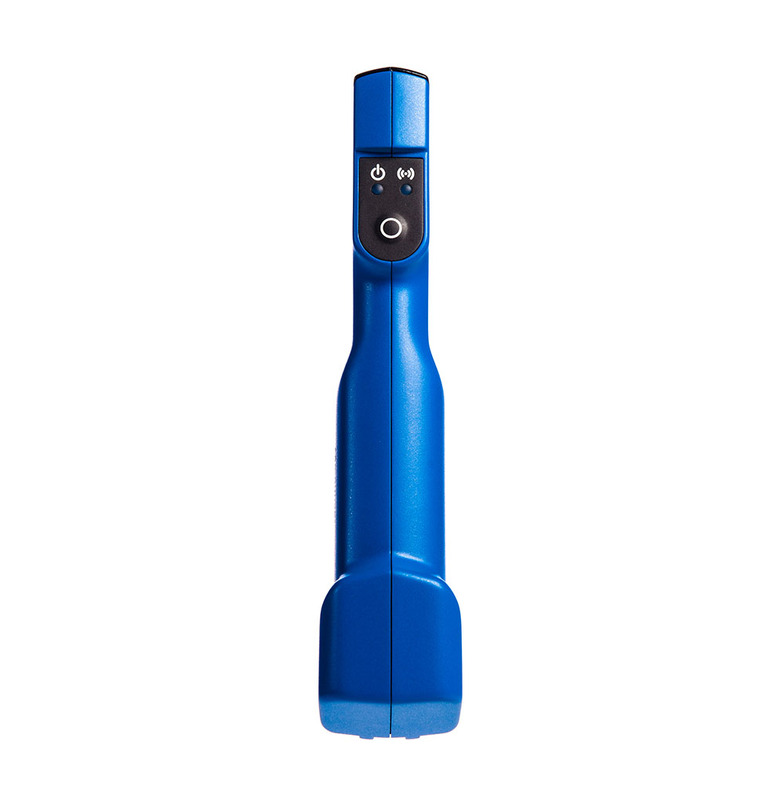 The viewing device for the Duo-Scan:Go is any compatible smart device. When you purchase your scanner, you will also receive a license to use our Go app. The Go app can then be installed on your smart device. 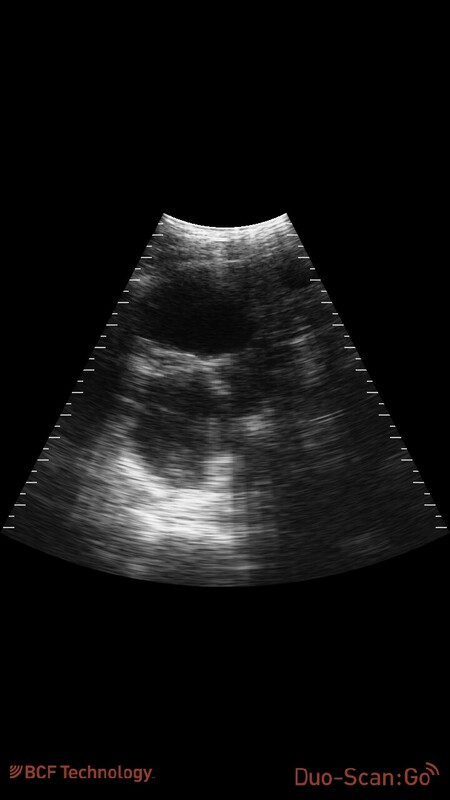 The Go app can then be used to view your live ultrasound from the scanner. Can I connect additional devices to the scanner? Yes, you can connect multiple devices to the scanner. The first device you connect to the scanner will be your primary viewer. 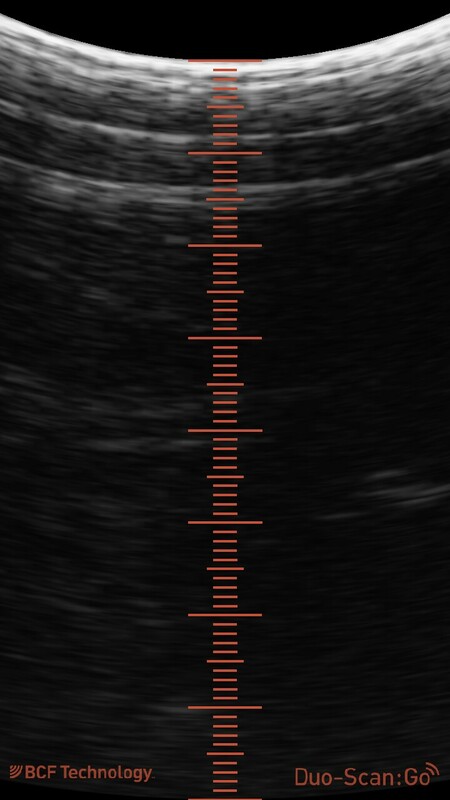 You can then connect additional smart devices allowing you to view the ultrasound footage at the same time but not control the scanner. The number of devices you can connect will depend on your Wi-Fi signal, but generally on a 5Ghz Wi-Fi you can expect to connect at least 3 additional devices. What is the best way to clean the scanner? 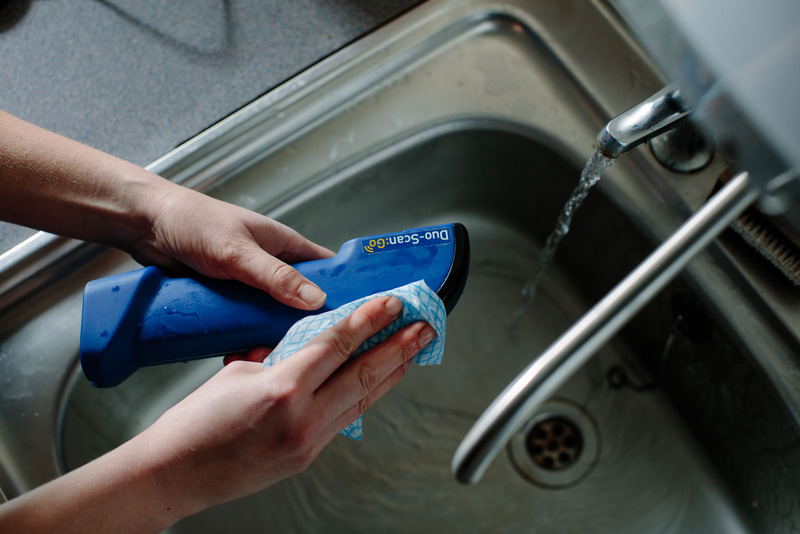 Our scanner is dust and splash proof and can be cleaned by gently rinsing it or by using a wet cloth or disinfectant wipe. How long does the scanner last before it needs charged? The scanner lasts approximately 2 hours before it needs to be re-charged. What do I do if the scanner breaks? If the scanner stops working, you can troubleshoot your problem on our service page. If the scanner still does not work, we recommend following our online RMA process to arrange sending your scanner back to BCF to be assessed by one of our service engineers. 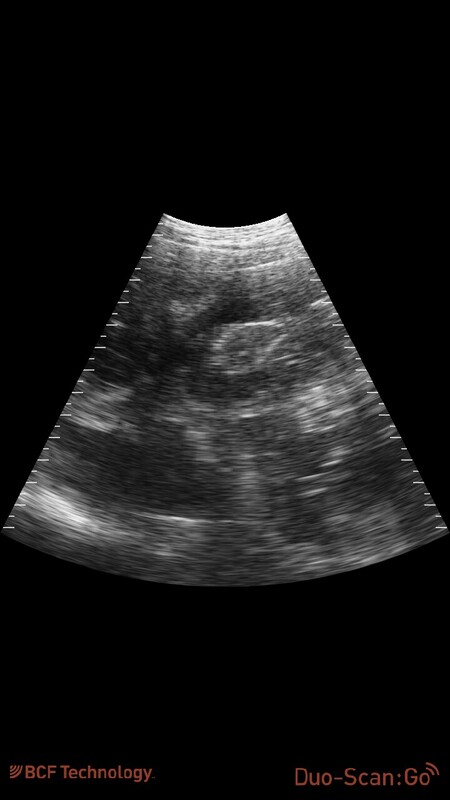 Can I record ultrasound images and clips? You can store an unlimited number of images and clips from the Go app. 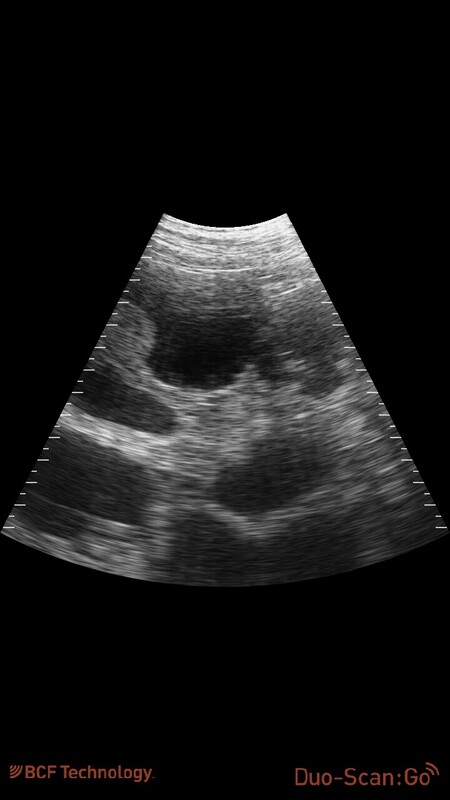 When you press save on the app, your ultrasound images or clips will automatically store in the photo library on your smart device. Your only limitation on the number of images and clips you can store will be down to the data storage capacity on your phone. Do I need a Wi-Fi connection to use the app? Like all other apps, you will need an internet connection for the initial activation of the scanner and for installing updates. However, after that point you can use the scanner without any other Wi-Fi connection. The Wi-Fi that connects the phone to the scanner comes from the scanner itself, therefore you don’t need any other Wi-Fi connection to use the Duo-Scan:Go. Does the scanner come with warranty? The Duo-Scan:Go comes with a 2-year manufacturer warranty on initial purchase. In the unlikely case that your scanner breaks within your warranty period we will offer a replacement on the scanner (subject to physical assessment of the scanner by a BCF service engineer), If your scanner breaks outside its 2-year warranty period and you send it back to us, we will offer you a 15% discount on a new scanner, again subject to physical inspection of the scanner. What animals can be scanned with the Duo-Scan Go? 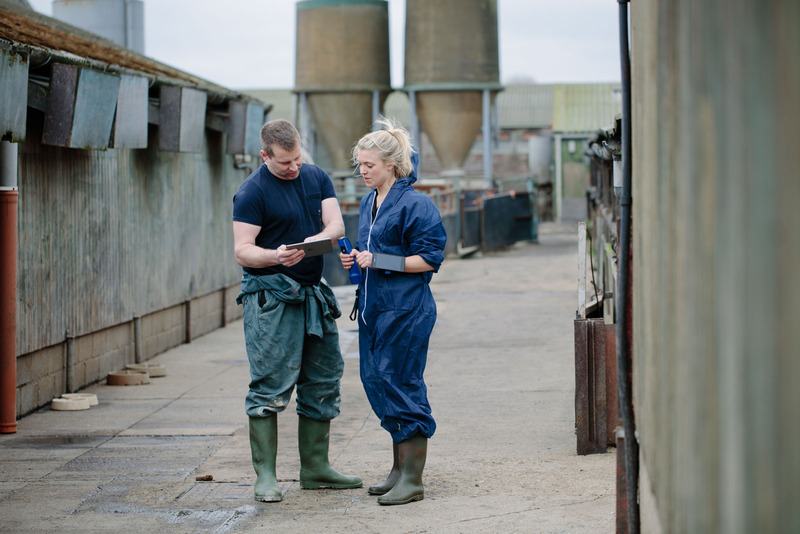 The Duo-Scan:Go was designed specifically to meet the needs of the pig industry. 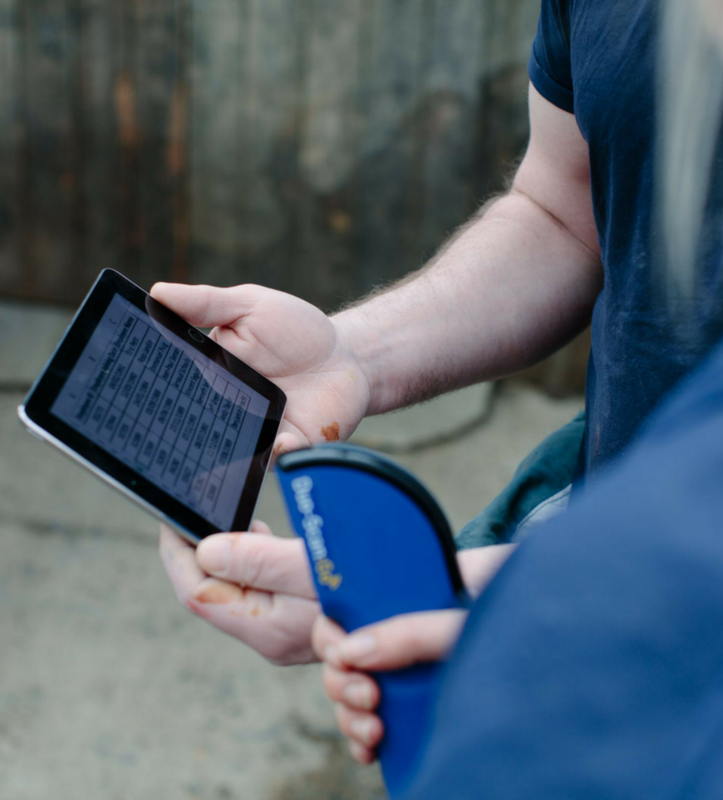 However, the scanner can also be used on sheep, alpacas and goats. Can I get training on how to use it? The scanner is designed to be very easy and intuitive to use providing you have used an ultrasound machine before. At the moment, we do not offer any specific training on how to scan pigs with the Duo-Scan:Go. Can I export the images and clips to share them with colleagues and upload to image management solutions? Yes. 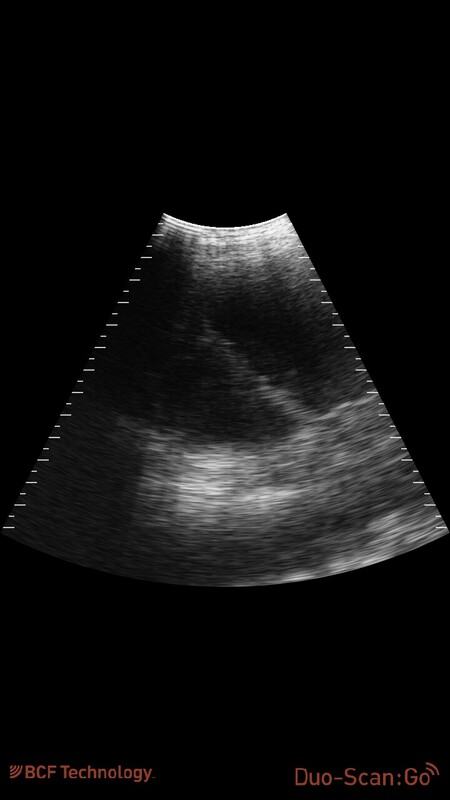 The ultrasound images and clips can be saved from your Go app to the photo library on your smart device. You can then easily share and export from here.